The art of mindfulness has been practiced for thousands of years. It is thought to date back to very early teachings of Buddhism and Hinduism. That being said, practicing mindfulness does not have to be attributed to a religion. It is a technique that can be practiced by everyone regardless of a persons religious beliefs. To start with, lets get the dictionary out and see what that has to say for itself…. – the state or quality of being mindful or aware of something. – a technique in which one focuses one’s full attention only on the present, experiencing thoughts, feeling, and sensations but not judging them. In the modern world it is safe to say that the majority of us live increasingly fast paced lives. The endless tasks that take up our time with work commitments, family, appointments as well as having an active social life mean that we are constantly on the go. Now you could say that life can be as fast paced as you want it to be. However for many people, the option to slow things down a little may seem impossible. All of this rushing around, fitting in with other people’s plans and ideas. Keeping commitments that you don’t really want to. Working yourself into the ground not having a spare minute to yourself takes its toll. You wonder where the day has gone. It doesn’t feel like 2 minutes since you dropped the kids at school. Now your getting ready to go to bed again so that you can get up and do it all again tomorrow. Life whizzes by……… blink and you just might miss it. Sad isn’t it really, to think that we have been given this amazing opportunity. To have access to an array of experiences. So many others in the world would give anything to have the chance. To live a life. To dream a dream, to touch, taste, see, feel, grow. I say sad, because when you get into bed and close your eyes, how many moments from your day are just a blur ? How much attention did you really give to your day ? We tend to dwell on all the moments that went wrong for us. When we missed the bus, got stuck in traffic ….. late again ! Forgot your child’s PE kit, had an argument with your partner etc , etc. Imagine if you could get into bed on a night and remember the details from your day. The little things, that happened which carried you through. The door that was held open for you, the parking space that was available. The smile your loved one gave you. The song on the radio that brought back a wonderful memory. These are the moments we live for. Life is not lost by dying; life is lost minute by minute, day by dragging day, in all the small uncaring ways. Can you relate to this ? Here is a prime example of how easy it is to get sucked into the day and miss everything around you. How many times have you made a specific journey but you have absolutely no recollection of what happened along the way ? It probably happens on a route that you take regularly, but I’m sure you can all relate. We sit there, traveling on autopilot and arrive at our destination with very little recollection of any detail that we saw. We have all done it ! For me it was the supermarket run. I would get in the car, lose 15 minutes of my life and then arrive at the supermarket. Now just to be clear I was always paying full attention to the road. However I was so used to the journey that I would hardly notice any other detail.I was so used to the journey that my mind became numb ! Husband: Did you see that car ? Husband: Did you see the hat that guy was wearing ? Husband: Oh I like that house, did you see it ? Husband: Are you alive ? I need some mindfulness in your life, I hear you cry !!!!!! but what can I do, how the hell do I be …. mindful ???? So without waving a magic wand and ridding the world of all the stresses and strains placed upon us. What can you do to help make each day of your life more memorable ? That means taking the time, even 5 minutes here and there to truly be alert in that moment of time. You don’t have to clear your mind because that’s almost impossible. Your mind is made to think, that’s a fact. However if your mind starts to wonder off and you lose yourself in a mind wonder, that’s fine. Don’t start to think that you can’t do it. Just be conscious of your thought and bring yourself back into the here and now. You can read here about the 5 minute window technique which works alongside the following steps. Here is a great exercise for you to try. It would be great if you could try this for a week and see how you get on. Each day, many of you will have to commute to work, travel to college, uni ….wherever ? What you need to do is, to take a mindful journey. Be vigilant, it all about noticing what’s happening at each stage of your journey. The following suggestions are for you to try as you are traveling. If you are driving, obviously you need to be focusing your full attention on the road ! Give these ideas a go when its your turn to be a passenger. Look out for animals, wildlife, count how many birds you see on your journey. It doesn’t matter what they are, don’t go into too much detail, it’s just about acknowledging that you have noticed them there. Pick a colour, doesn’t matter which. Count how many times you see something in that colour until you arrive at your destination. Try to pay attention to different people, notice distinguishing features about them. What are they wearing ? Try to describe them to yourself. What buildings are around you ? Is there a specific building in particular that stand out ? Take note of its details. When stuck in a traffic jam. Look around you, what can you see ? What vehicles are there ? Are there any loud noises ? Remember it’s about being present. All of this activity around you is happening in the here and now. It’s about being conscious and vigilant, not living in the past or daydreaming about the future. Practising these mindful techniques can help to take your mind off any troubles, worries and anxieties you might be feeling. They can be a great way to deal with stress. The aim is that you practice these 5 minute moments throughout your day to make you more alert and aware of what is happening in your life. The aim is to be able to go to bed at night and think of the small moments that stand out from your day. Enjoying a hot drink. Watching the steam rise from the cup. Being aware of the warmth of the cup on your hands. What does your drink taste like ? Eating your food and savouring your meal. Pick out the flavours you can taste. Take your time to really enjoy and chew each mouthful. Sit and listen. What can you hear ? Traffic perhaps, children playing, birds singing ? Remember…. don’t get wrapped up in thoughts about what your being mindful about as that will defeat the object of the exercise. Just acknowledge the thought and move on. So folks that’s mindfulness in a nutshell for you ! Nothing too complicated. 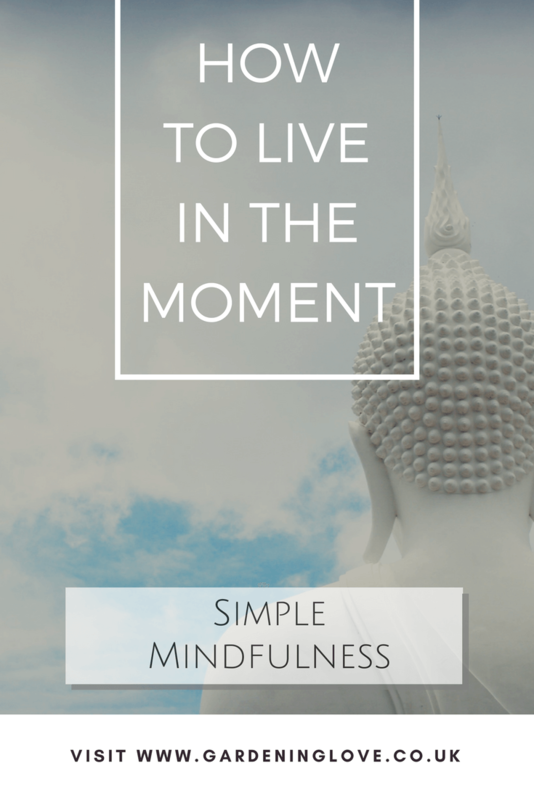 Do you practice mindfulness ? What techniques can you recommend. Please share and comment below. Wishing you a mindful day . Garden planter ideas. How to upcycle in the garden. 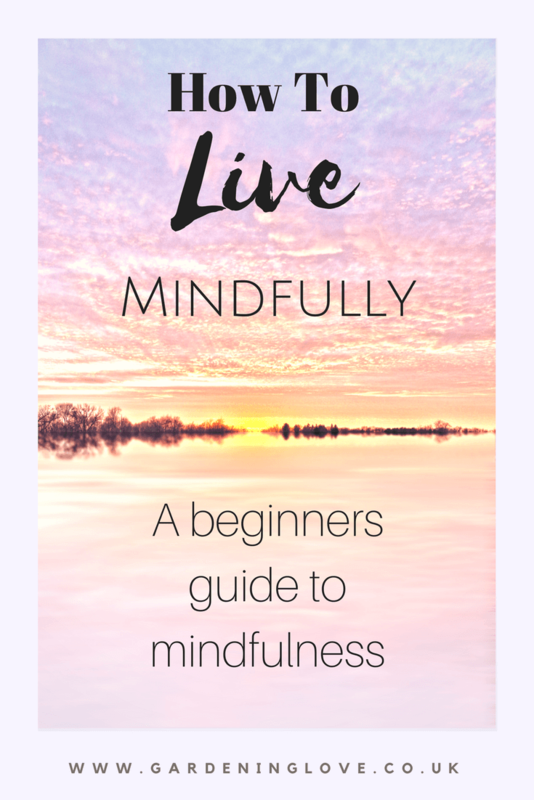 This is definitely a good read for someone like me who struggles with figuring out how to be mindful. Thank you ! Hi Kate , thanks for your comment. Mindfulness can be so useful in dealing with pain. 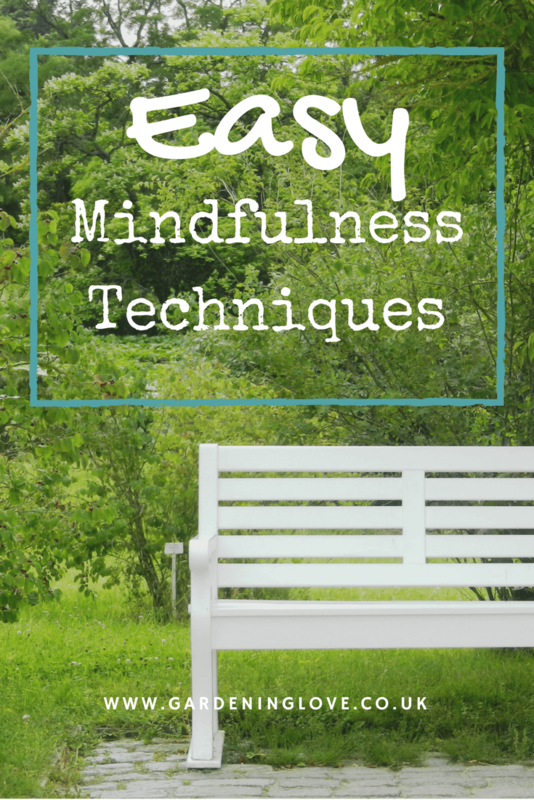 I get a lot of headaches and occasional migraines and I use mindfulness to help ease the pain. I find if I’m told to block out thoughts my mind becomes flooded with them ! Just allowing them to come and go it’s much more manageable. Hi. I use mindfulness to help with my chronic pain, just to bring me back to bring me back to what I’m doing rather than focusing on all the pain which with chronic pain you do a lot, it just helps to ground me. I over think way too much and I can lose an hour just while I’m watching TV so I try to use mindfulness as much as I can. I like the fact that if my mind does wonder, with mindfulness you can just move on from the thoughts that you’ve had and bring yourself back without feeling bad for it. Unlike medication which I find very hard to block out thoughts. 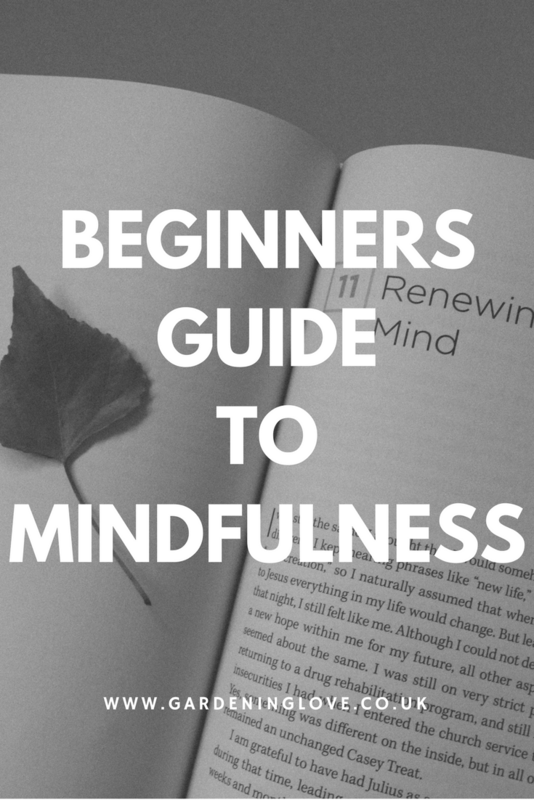 Mindfulness is much easier and great for everyday life and can be use at anytime. Thanks Jessica ! Your right, it’s amazing to think of the power we hold within to change our lives . Thanks Mindy ! Hope the tips help you. Great article! This is so true for all of us, we let so many things clog up our thoughts and forget to live in the moment. This is something that I’ve definitely noticed since becoming a mother, and I’ve been working on getting better at shifting my focus so that I don’t let those little moments pass me by! You have some great tips, thank you! Thank you for your comment. I think we can all be guilty of living without a plan at times. I am sorry to hear about your mom. I lost my best friend 2 years ago, and that experience changed my life. I decided to live each day with a fresh start and to try my best to live my life in the moment. Life is a journey and we continue to learn each day. I wish you all the best along your journey. I am in the process of beginning to balance my using my commute to learn something new with simply enjoying the view and noticing the things around me. For too many years, I have simply enjoyed my time (without a plan or a real concern for what I would like to accomplish and without planning for tomorrow). My mom passed recently AND I just turned 50, so I am thinking about the mark I want to leave in the world. That has caused me to kick into high gear, reviving the dreams that I had for my life. That means that I am hustling like crazy, getting things accomplished. I am proud of that. But I also like to slow down at least once a day to enjoy and appreciate the small things. Thanks for reminding me to continue to savor that mindful moment. Great article. So true. I’m learning to be more mindful/aware and enjoy my life instead of allowing it to pass by me.